Every year,Santa Claus joins Music Elements in bringing joy into the hearts of young and old alike. 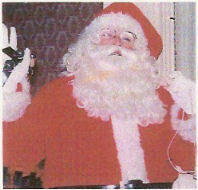 Our Santa, the “Best in New England”, brings his special brand of merriment to every holiday party. Santa has Ho-Ho’d, sung and brought cheer to hundreds of children at private parties, corporate functions and every kind of holiday event of the season. No matter what type of party you are planning, Santa will work closely with you to design and achieve exactly the atmosphere you envision. Our Santa, all the way from the North Pole, can bring along an elf to lend a helping hand. At your request, he completes his visit with an instant photo of you with him for your personal keepsake. We know once you meet our Santa, you’ll wonder how you ever celebrated your holiday season without him!